Happy Tuesday friends! I know on Friday I said I'd be switching up my blogging schedule so I wouldn't normally post on a Tuesday but with the holiday weekend I figured I'd post my weekend recap today and start a more regular blogging schedule next week. I hope everyone had a fabulous weekend celebrating America! I know I did! Sharing my weekend recap with the lovely Biana. Friday I headed out a little early from work and made a delicious dinner and watched a movie. It was a rainy evening and a long week so it was nice to just unwind and relax a bit without having any plans. Saturday morning I headed up to the mall to do a bit of shopping before heading home before the rain moved in. It ended up being off and on showers all day so we watched another movie before heading out to a local brewery for some beer and card games. Sunday morning I look my pup to get his hair cut bright and early. As you can see from the picture below it was MUCH needed. He usually gets his hair cut more often than I do so it was odd to see his hair this long. 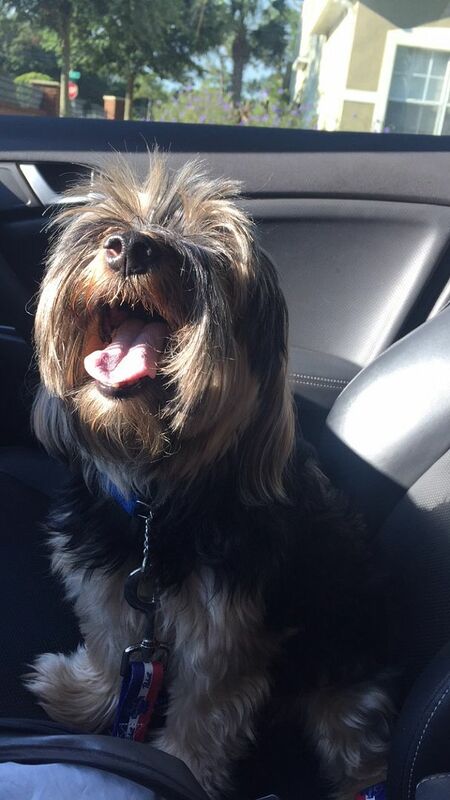 But he was super excited to go for a car ride! 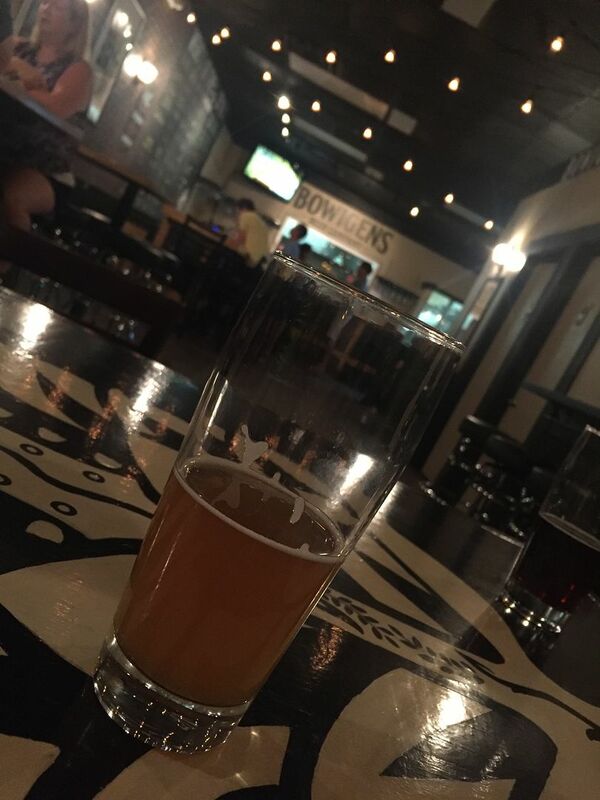 After dropping him off took a quick donation based yoga class to get some exercise in but also to unwind a bit. It's always nice to get that zen feeling in during the weekend. Later that evening I met up with Kerri and the boys and headed to the touristy part of town for some cocktails and putt putt. We checked out the Sugar Factory which had some of the sweetest drinks I've ever encountered but their presentation was amazing. I couldn't even finish mine it was so sweet so after that it was time for a much needed beer at Tin Roof. After it got dark out (and cooler but not by much) we headed over to the putt putt place next door. It was extremely hot out so I wasn't being as competitive as usual but we still had a blast. Monday was for relaxing by the pool. It was 96 with a heat index of 106 so I pretty much lived in the pool all day. We grilled out for dinner and then hung out and played with some sparklers because, why not? The weekend went by so fast! Looks like you had a fun one! Love all those pool floats, that looks perfect right about now :) It was over 100 here yesterday, so it was only bearable to spend time outside in the evening! Have a great week! We had rain this weekend, too! Except it lasted pretty much alll weekend. 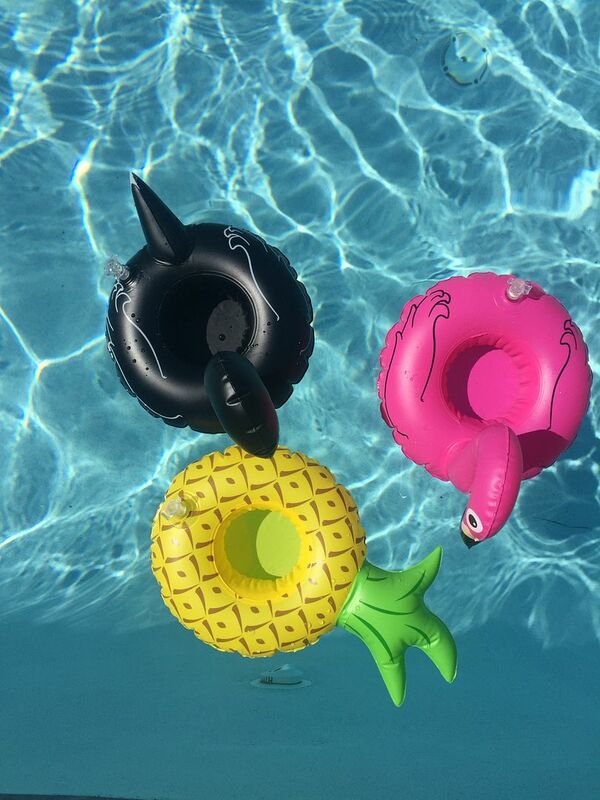 A day at the pool sounds lovely - especially with those fun floats! ah a good weekend indeed! lol to that pic of novie. that face is too cute. and had a blast sun even though it was hell's waiting room. HA. glad those floaties are getting some good use too! happy tuesday! Looks like a fun weekend and your pup, so freaking cute! Love the floaties! So much fun! And your pup - adorable! I want to try and play tourist in my hometown more often because it sounds like a great way to get out and try something new! Your pup looks so cute with all of his hair, but I'm sure that he was glad to get his hair cut too! 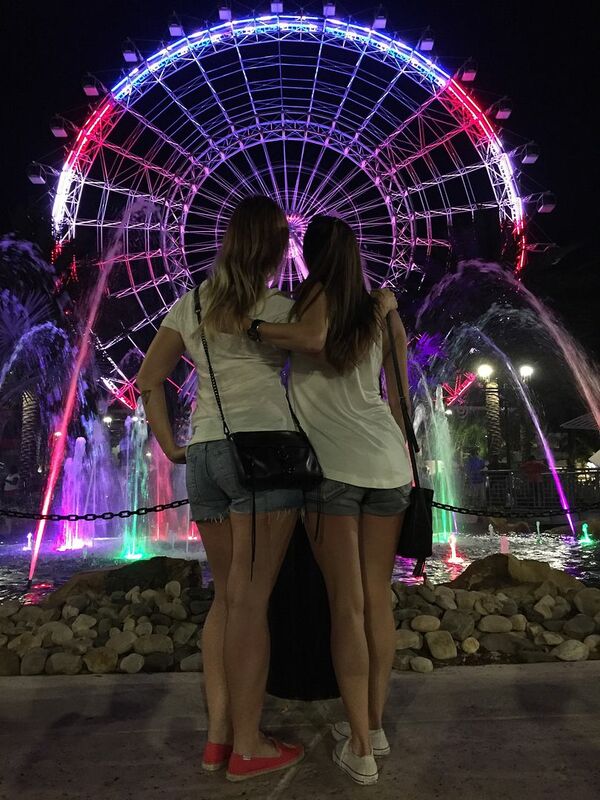 That picture of you and Kerri with the Orlando Eye is so cute! I love it! I hope your Tuesday is off to a great start! Looks like quite the fun weekend. Zenning on the weekend is good for the soul :)! I love playing tourist in my hometown, so much fun ! 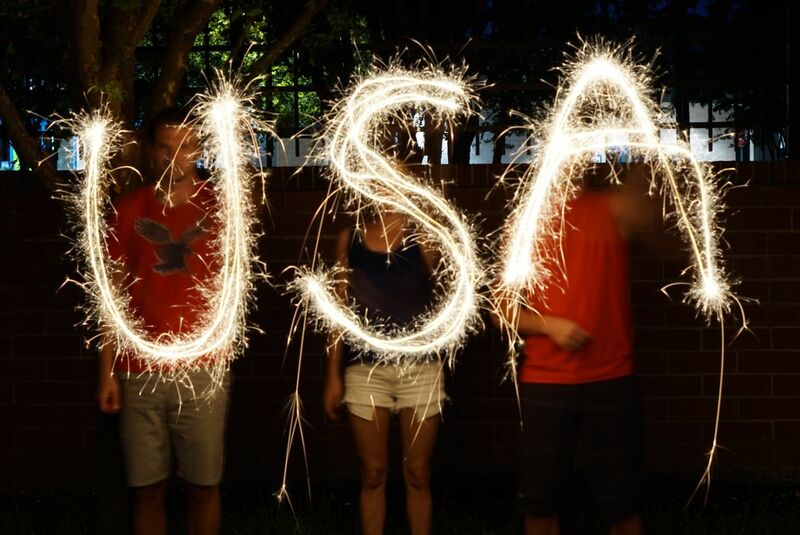 Love that sparkler picture! Sounds like it was a great weekend. I love those little floaties, so cute! Hope you have a great week. Yay for short weeks. Sounds like your weekend had the perfect combination of fun & relaxation- a winning combination! Have a great short week!! What a FUN long weekend. 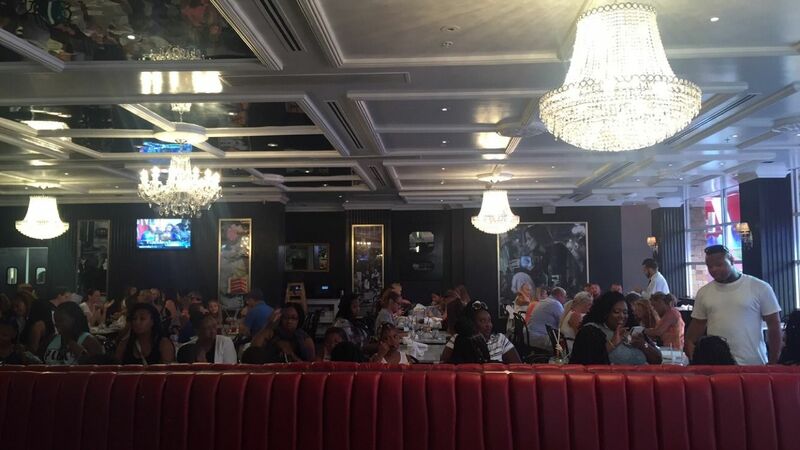 I love Sugar Factory-went to the one in Vegas and I was so bummed when they took it out. I agree, drinks are sweet...but I love the vibe in there. 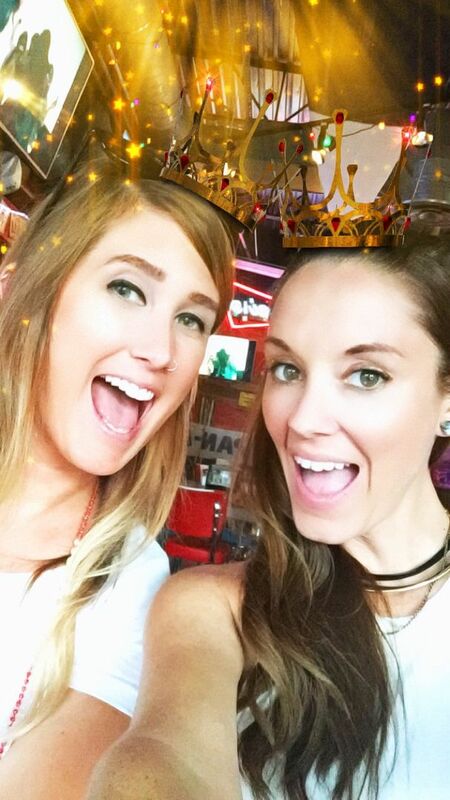 Your sparkler pic is so fun! Sounds like you had a nice fun and relaxing weekend! Yay for putt putt and omg why the hell has it been so damn hot! I really can't even breath outside today! Ridiculous! Novie looks so cute too! Those floats are so cute - I need to pull the trigger on those one of these days. It sounds like you had a great weekend, and I look forward to seeing your new blogging schedule next week! The Sugar Factory sounds like a really neat place to try, even if only once! It really was an incredibly hot weekend but sounds like you made the most of it. I've only been to the Sugar Factory in Vegas but you're right, the drinks are too sweet for my liking but a cute concept altogether. You guys rocked those sparkles. I love that USA photo! Sounds like you had a great weekend, Pamela! Your pup is seriously SO adorable! I wish my pup enjoyed car rides...he gets so anxious and doesn't enjoy it at all. Hope you are having a great week so far! Love that sparkler picture!! It was SOOO hot here too, so miserable unless you are sitting by the pool or ocean! Love the drink floaties! So cute! 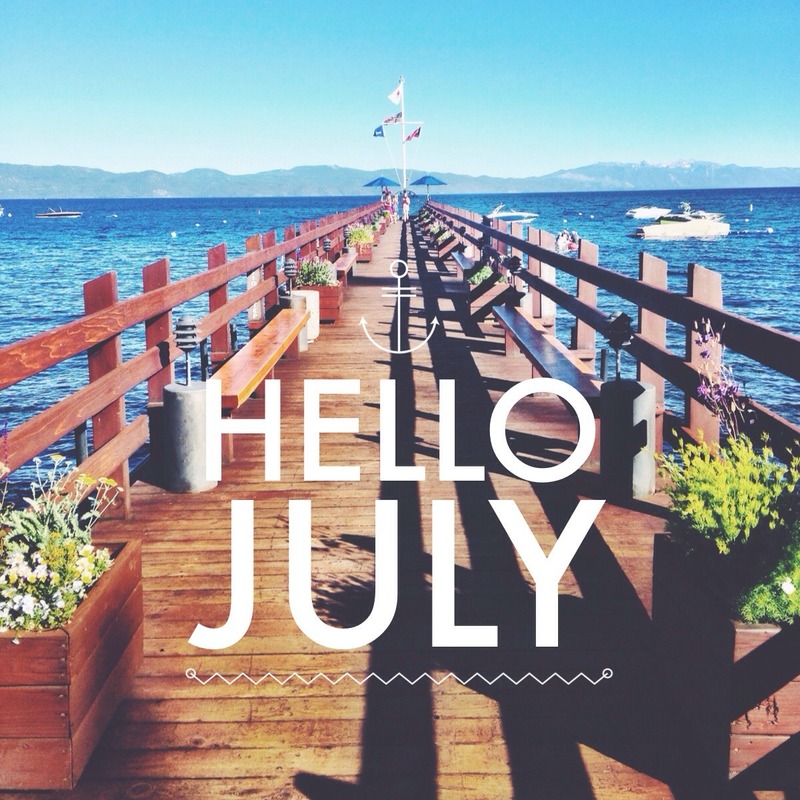 Sounds like you had a great long weekend... can't believe it's over already! Love that last pic! Have a great week! Loveeee that USA photo! I've always wanted to try to get a pic like that! Must add on my bucket list haha..! It was pretty warm over here in Boston too.. Not in the high 90's but warm for a preggo! Haha happy Tuesday almost Wednesday!! LOVE the sparkler photos! We've done those before and they are so fun and look so magical! Glad that you had a nice holiday weekend, girl! That picture of you girls in front of the Ferris wheel is so cute! The sparkler picture is awesome! I love the floats as well, my family has been giving me a hard time about them while enjoying them thoroughly lol!